On Monday morning Waitoa, Taylor and Joshua had the opportunity to Skype and chat to a group of year twos and threes from a school in Auckland. The children had come up with a range of questions that they asked one another to get to know each other and shared stories of what they did during the weekend. 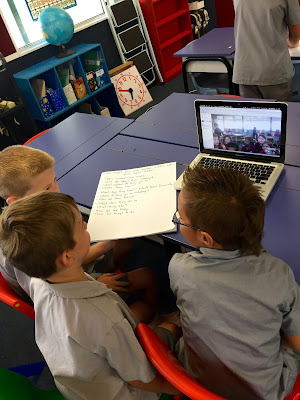 This is a great way for students to connect and learn from children around New Zealand.